They lurk within the shadows and even later work within the dark crevices of the Republic to build their new empire. Their lightsabers glow in a deep and terrible red that is said to be strong enough to "break" a Jedi's own weapon due to its unnatural creation through synthetic crystals. Their unrestricted use of the Force has also made their extra powers such as lightning, crushing, or dark auras to tear apart their foes along with a much more aggressive form of lightsaber combat. Many of their secrets became lost in time as their numbers dwindled but they have never faded completely for their power is too strong for that. They will always be able to surge back forward even more powerful than before. Are you one of them? Join the dark side in style with our Adult Deluxe Sith Robe. You'll be among the ranks of Jedi enemies such as Darth Sidious and Darth Vader in their attempt to overthrow the order of light with their own might. The 100% polyester robe has a smooth, comfortable interior and a lightly textured, realistic exterior that will cause even the strongest of Jedi to be wary of you. 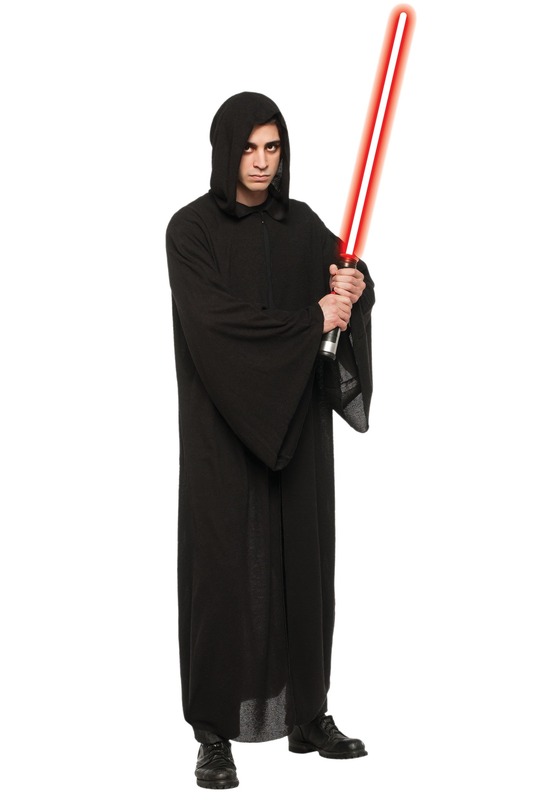 An oversized hood and large sleeves add to the authenticity of this detailed Sith robe. Robe measures 58 1/2 inches in length. If you're looking to join the Sith, this is the ultimate in quality and realism. Now feel the power of the dark side flow within you!